​Since 1976, AQUA Magazine has been at the center of the industry. 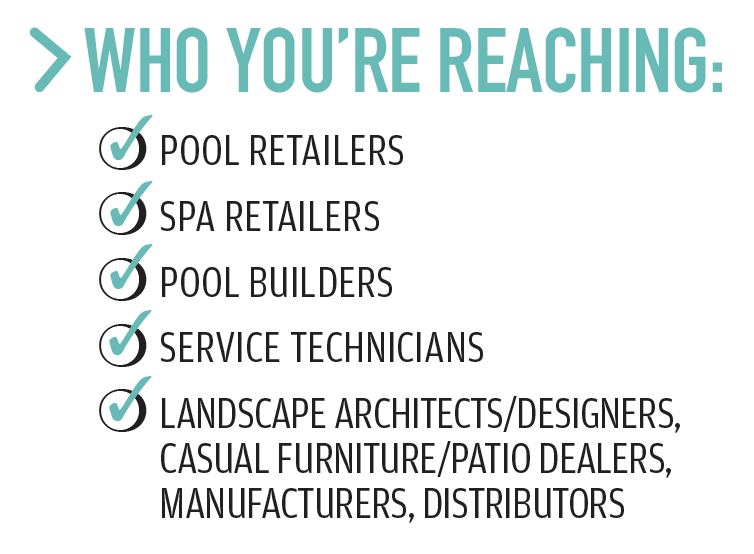 We are dedicated to empowering spa and pool professionals by providing them with the news, information and insight they need to guide their business and connecting them to the products and services they need, from companies like yours. At AQUA, we are devoted to being your premier marketing partner by providing you with a wide range of marketing solutions designed to connect you with new business opportunities that drive marketing ROI and deliver new leads.